About this objectFarex Tin with white green and black label. 12 ounzes tin with cardboard body, metal base and rim. 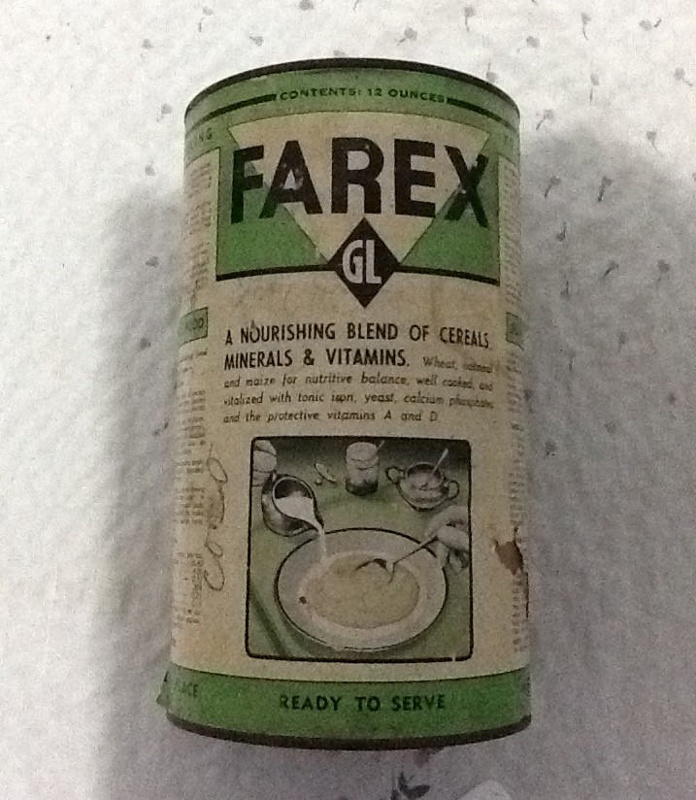 Label has instructions for use as a baby food and recipes, including Farex sandwiches. Tin was later used as a coco (sic) tin, written in blue ink on tin.